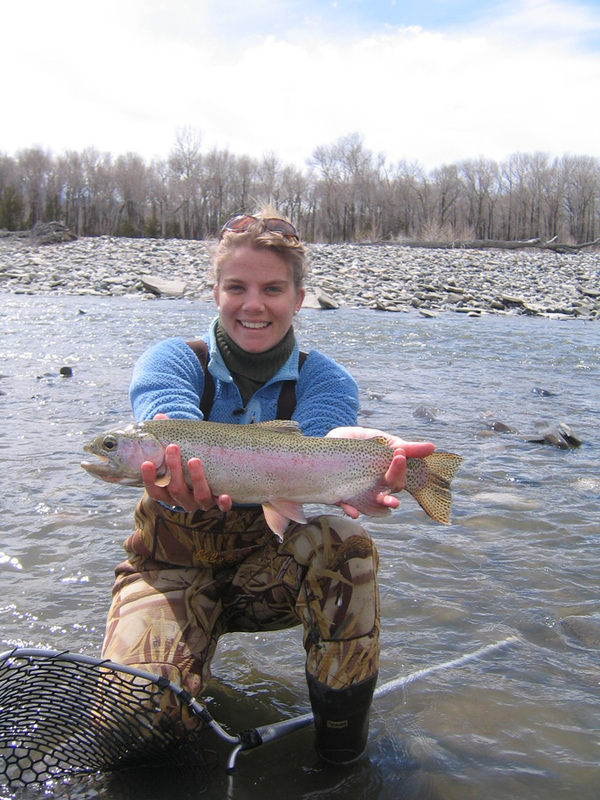 When is the best time to fish in the Bozeman area? 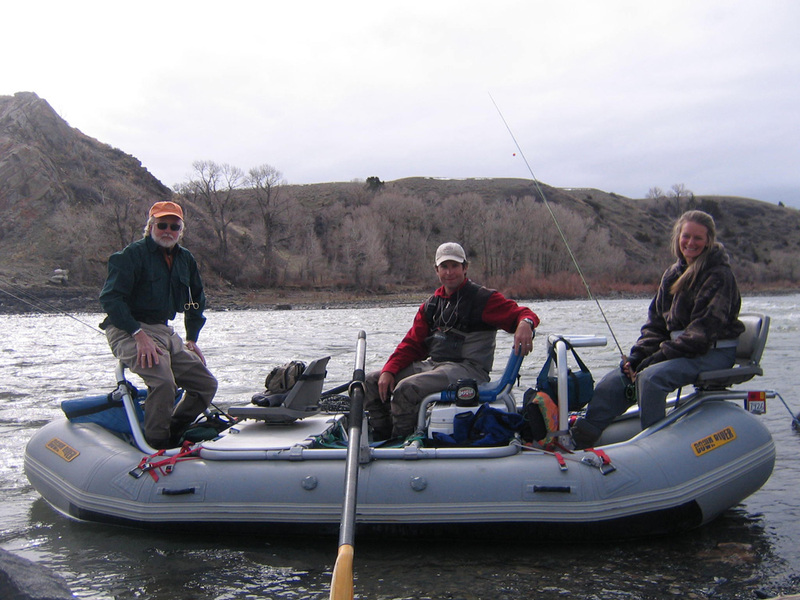 With no closed season on major rivers and widespread options available throughout the year, the best time to travel is basically whenever you can. The prime season is March through November. 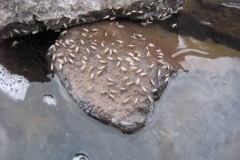 What are the float trip options? 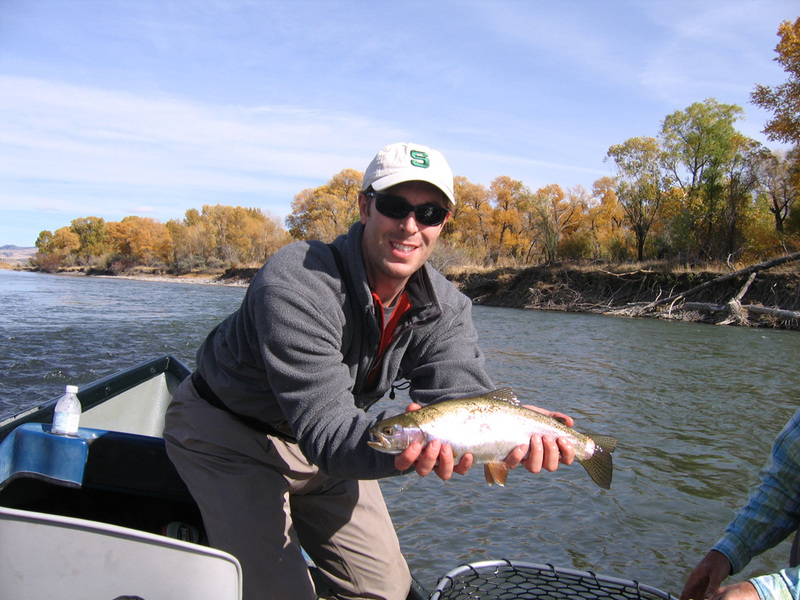 Yellowstone, Madison, Missouri, Gallatin, Jefferson, Stillwater and Big Horn Rivers. What are the walk/wade and private water options? East and West Gallatin, Ruby, Boulder, Depuy’s, Nelson’s and Armstrong’s Spring Creeks, Sitz Ranch, Burns Lake and many more. Please feel free to contact us any time via email or phone, message or text. Advance notice is always appreciated and is sometimes necessary during the peak season (June 1 – October 1). Trips can be booked over the phone or via email. Advance notice is recommended and a deposit to secure your reservation is required. What if I need more than one guide? 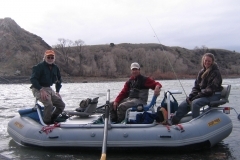 We can easily accommodate groups of 4 to 6 anglers. Larger groups can be handled with advance notice. How many people can fish with a guide? 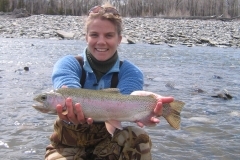 Under most circumstances, two anglers per guide is recommended though three is possible. An additional $125 charge is required for a third angler. Typical outings run from about 8am to 6pm, though we can easily work around specific schedules. How can I pay, do I need to give the guide a tip? Cash, personal checks and travelers checks are viable methods of payment. Tipping, as you would in a restaurant, is considered standard practice. As necessary equipment changes with the season, we can provide a detailed list of essentials customized to your personal fishing plans. Not a problem. We furnish top quality rods, reels, waders, wading boots and terminal tackle such as flies and leaders. Travel light, we can take care of your equipment needs. All guided trips include lunch, drinks, transportation, shuttles, instruction and equipment. 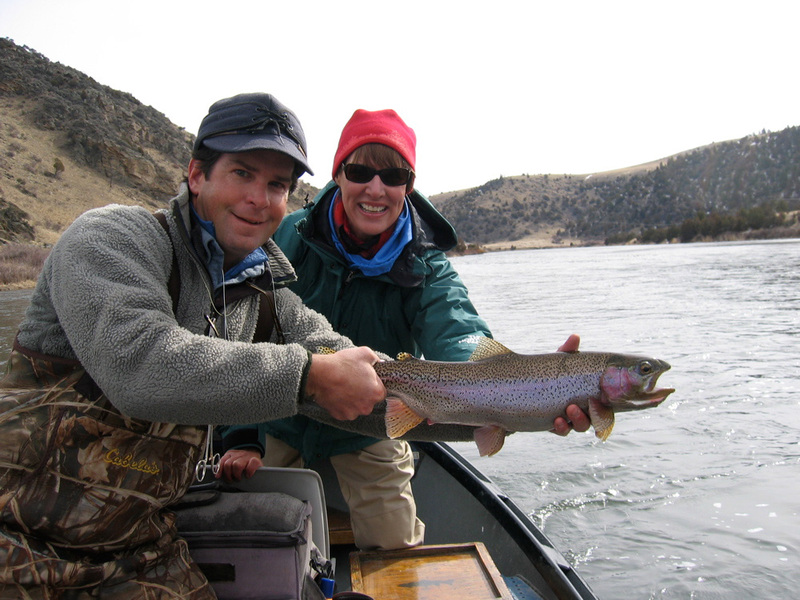 Montana fishing licenses, gratuity and any additional private water rod fees are all considered extra. 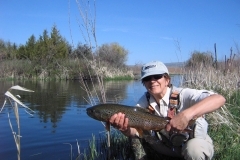 How can I get my fishing license? 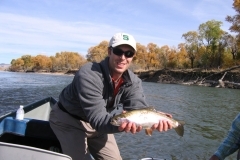 Montana fishing licenses can be purchased online or can be bought at the River’s Edge Fly Shop in Bozeman the day of or prior to the trip. Where do we meet before the trip? 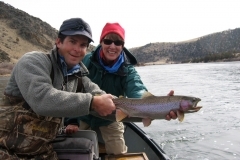 Unless specified otherwise, all trips start at the River’s Edge Fly Shop in Bozeman. Our standard meeting time is 8 am. 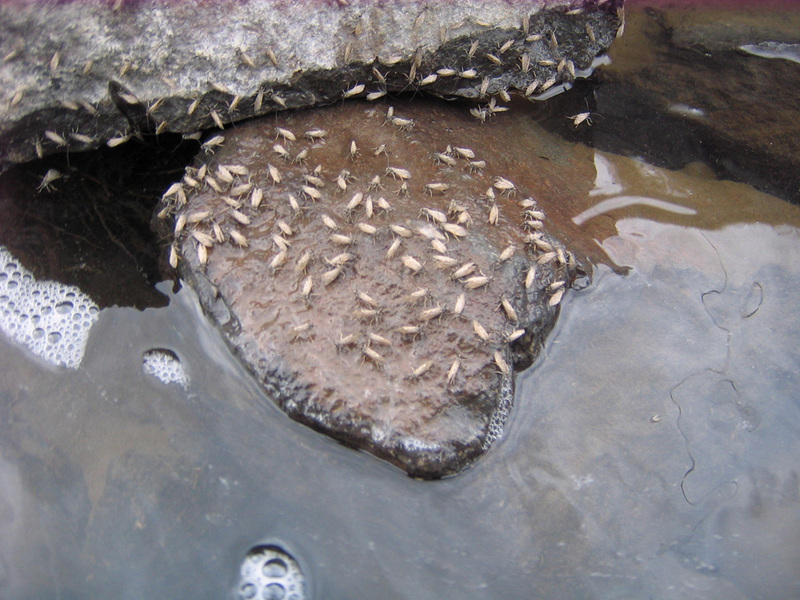 Do you practice catch & release? Yes. 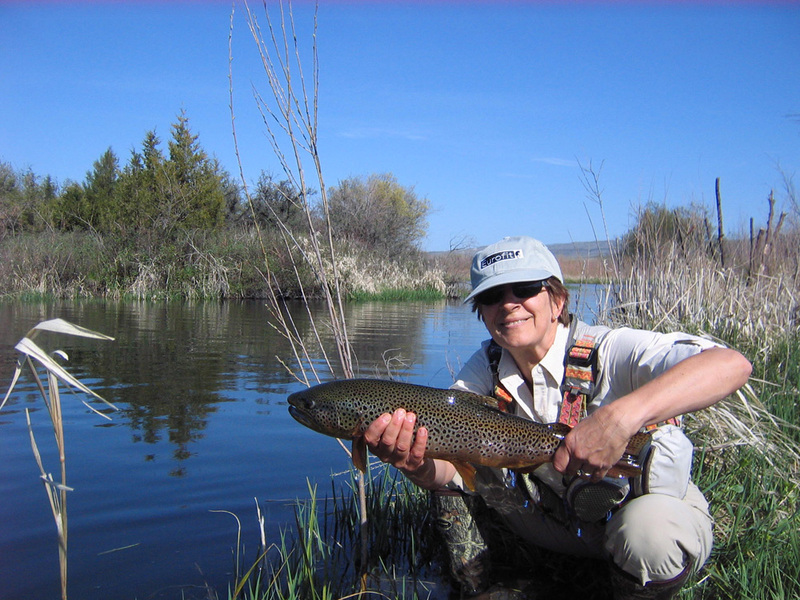 We fish with all barbless hooks and follow careful catch and release practices in an effort to preserve our wild trout fisheries. Yes. 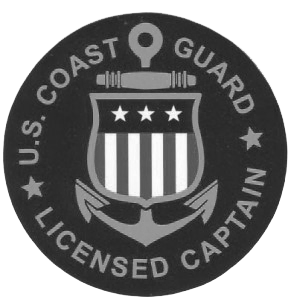 We are licensed by the Montana Board of Outfitters (#7426), hold a US Coast Guard Captains License and carry liability insurance through Montana International Insurance.